When the Northern Territory (NT) News photograph editor Brad Fleet approached the Northern Territory Archives Service (NTAS) to source photographs for their Centenary project “Then and Now: Celebrating the Northern Territory’s 1-in-a-100-year souvenir” newspaper lift-out, the NTAS saw it as an opportunity to make photographs from our collections available to the Northern Territory Community. 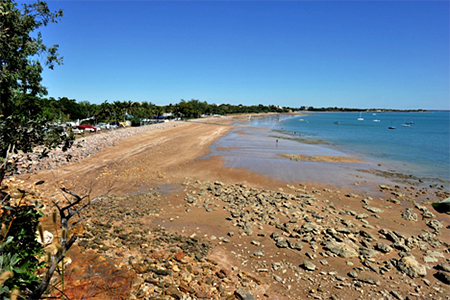 As a way of marking 100 years since the NT moved from the control of the South Australian Government to the control of the Commonwealth Government in 1911, the NT News wanted to show images of locations across Darwin and the NT at various times in history, comparing them to the modern scene, photographed by Brad Fleet. It has been a challenging and interesting project for the NTAS and the NT News. 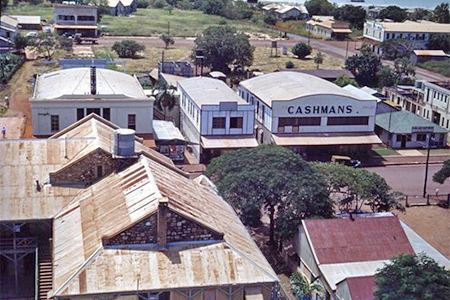 The city of Darwin itself has undergone many transformations since its earliest days, and very little remains of the 'then', to be seen 'now'. 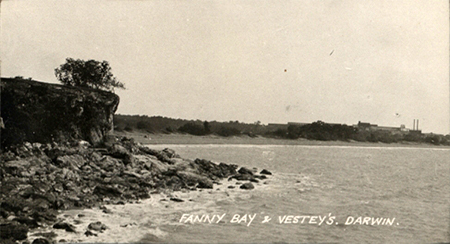 From the beginning of the project Brad was anxious to have the correct location, knowing that readers would be prompt to spot any inaccuracies. He told the NTAS that often there were obstacles at the site of shooting and in the end the only good time for photographing sites was early Sunday morning. Also for him difficulties came from the complete change in infrastructure especially around Parliament House. 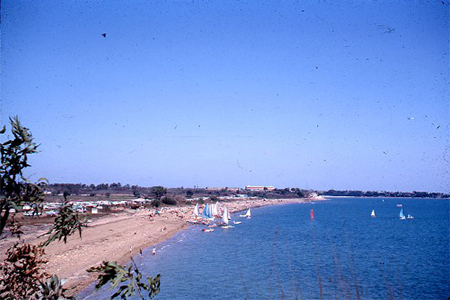 This project has provided the NTAS with the opportunity to explore some of their photographic collections in greater depth, using archives, published history books and oral histories held by NTAS to work out the precise vantage point of each image so that the NT News photographer could shoot an image of the same location as it is today, providing the comparison. 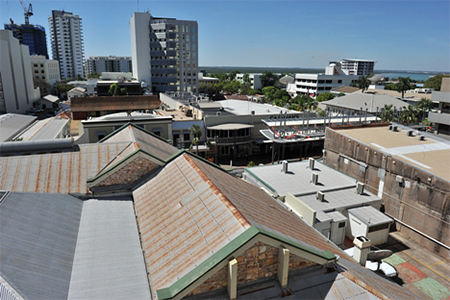 This feature appeared in the NT News each weekday from early July to early August 2011, amounting to 100 pages. 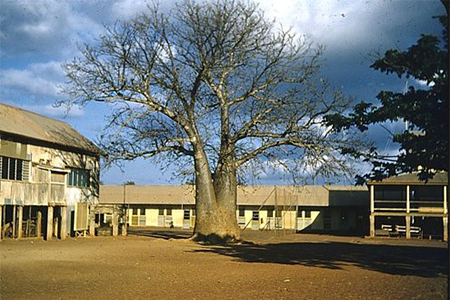 The big baobab tree still stands in this location some 54 years after the image in William Clarke Laidlaw collection was captured, however instead of being in the middle of a school yard it is now in the centre of the Darwin General Post Office car park on Cavenagh Street. 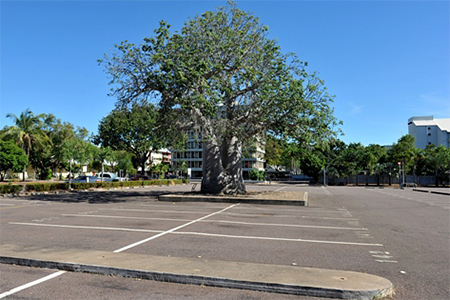 Our challenge was to work out where the image was taken from within that space, so that Brad from the NT News could re-photograph the tree from the same angle. With the assistance of our friends at the Department of Lands and Planning Land Tenure Research Group, documentation from the William Clarke Laidlaw collection and hints from other photographic collections showing the old Primary School through history, we were able to pinpoint the precise location within the car park from where the image was taken.